We went on a small road trip last Saturday. 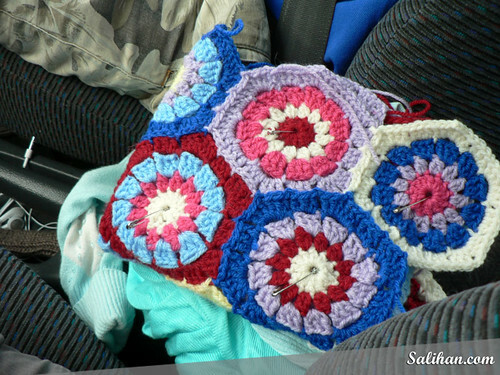 I was going to spend about 3 hours in the car all up so I thought I shouldn’t miss the chance to do a bit of crocheting while being chauffeured for the day. I packed my backpack full of yarn – 700g of yarn to be exact. 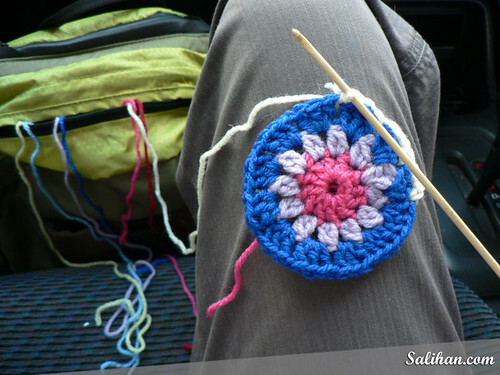 Seven beautiful bright colours adorn my hexagon crochet blanket. I’ve crocheted and joined 16 hexagons and packed them with me. All I needed was my hook and a small pair of scissors and I’m off! Richard was looking at my bag when I got in the car. He had already packed a picnic for us and we were planning a walk too. He was rather surprised to see my bulging backpack! “What have you got in there?” he asked inquisitively. I grinned and told him to just drive. 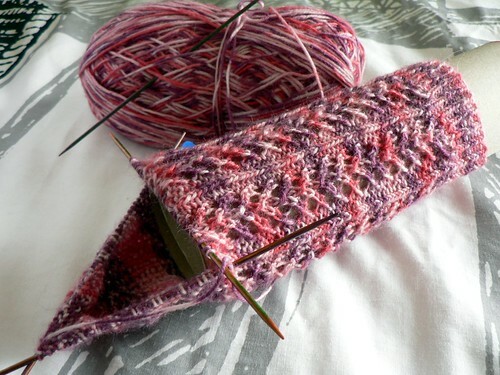 As soon we hit the freeway, I unzipped my bag and pulled out the ends of the yarn carefully. I began my first hexagon, proud at how organised I was. 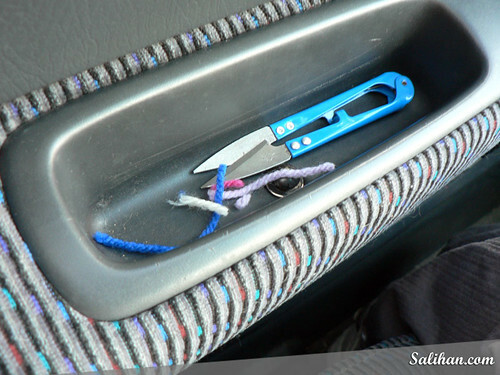 I even had a little “bin” next to me by the passenger door where I tucked the scrap bits of yarn and my pair of scissors. 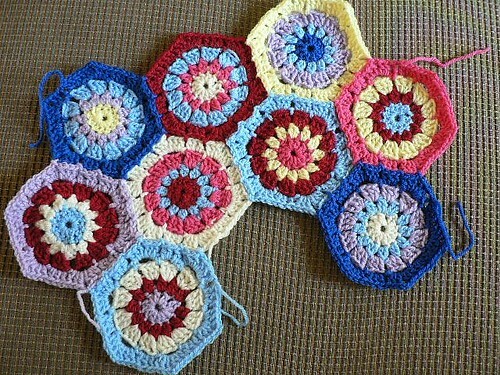 And between our seats, I placed the 16 joined hexagons so I can refer to them when I’m crocheting. 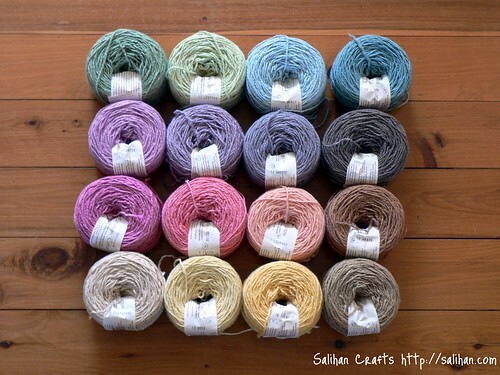 I’ve decided on these 16 to be the foundation of my crochet blanket that I will just follow from now on. I’ve placed a safety pin in the centre of each of these “foundation” hexagons so that I will not be confused when I start joining other hexagons to them. Is there a smarter way to do this? 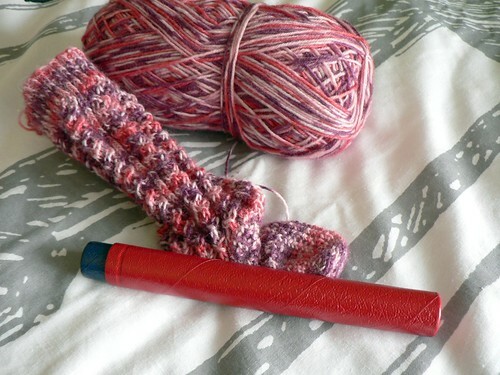 I really don’t know much about crocheting. 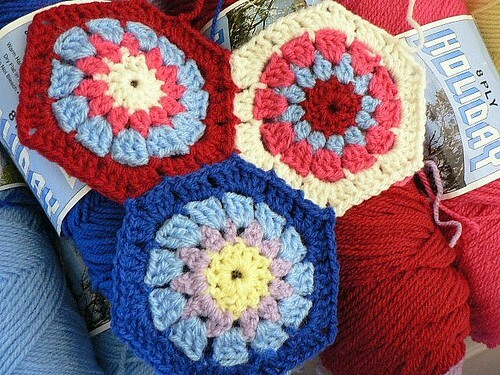 I don’t know the proper name of the so-called foundation hexagons that I’ve crocheted. Please enlighten me if you do! 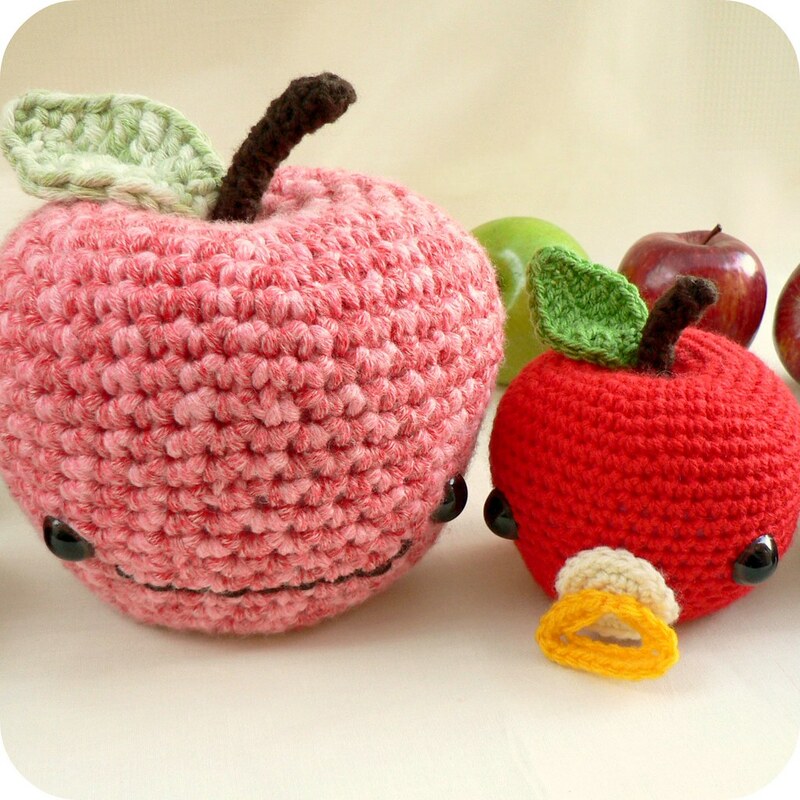 I learned to crochet last year simply because I wanted to crochet amigurumi and a blanket. 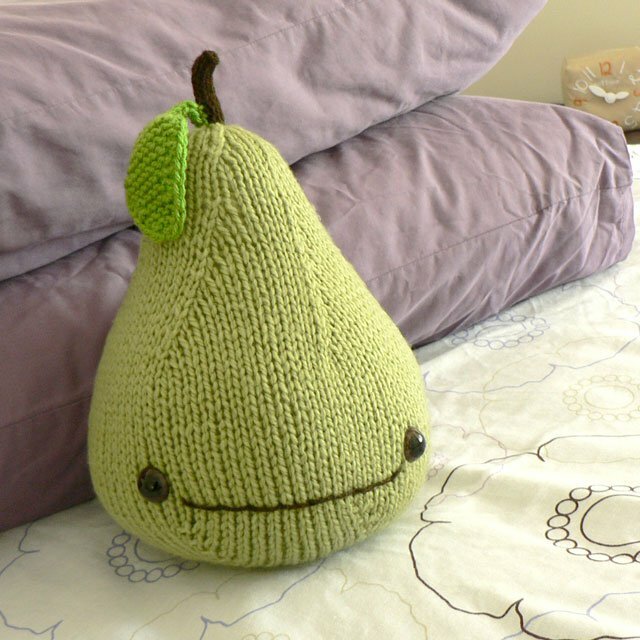 I have made several amigurumi but no blankets yet. Not even a small a lap sized one. 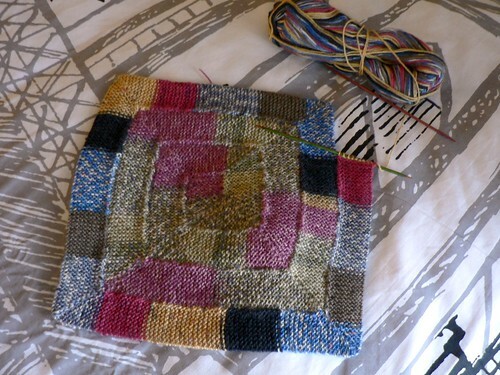 I started a ripple blanket but it was quickly abandoned. 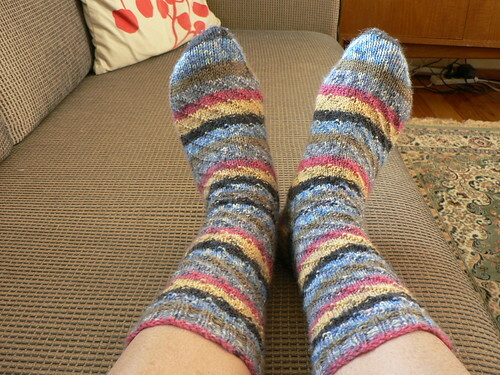 I didn’t like how it was turning out and I wasn’t sure whether I had enough yarn to finish it. 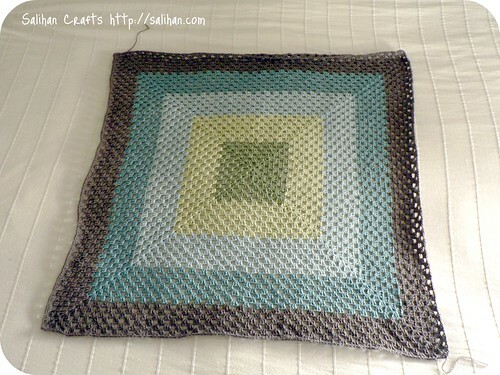 But with the recent acquisition of yarn, I can now realise my dream of a crochet blanket! As excited as I am, there are a few things I worry about with this new project. Firstly, the colours are bright! It’s very different to my otherwise muted style. I’m not sure whether it will go with the white colour palette that I plan for the house. But the emotions I get when I look at the pretty hexagons is driving me on. They just make me so happy! I catch myself smiling at the hexagons that lay in front of me. Haha… Thank god I’m home alone. 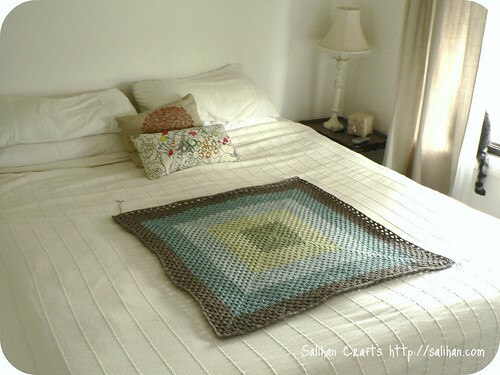 My last concern is that the blanket is being crocheted with acrylic yarn. 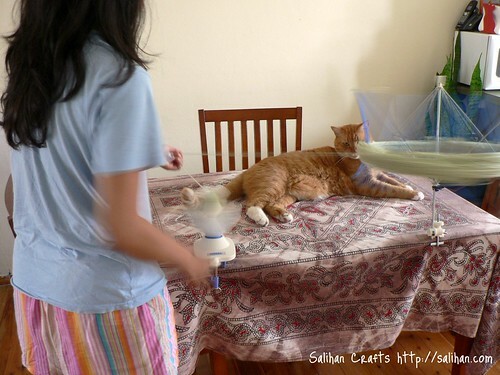 It’s not even a soft acrylic yarn but at least it isn’t itchy. 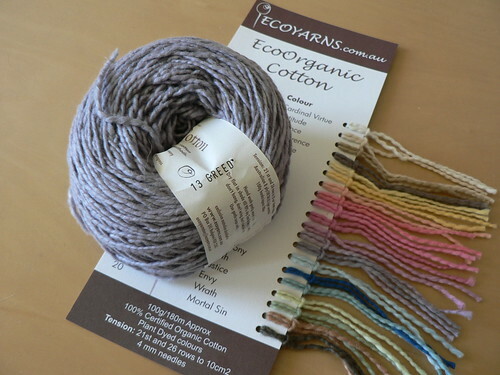 I’m reminding myself that without Rosemary‘s generosity, I wouldn’t even have the chance to do much knitting and crocheting in my current employment status. 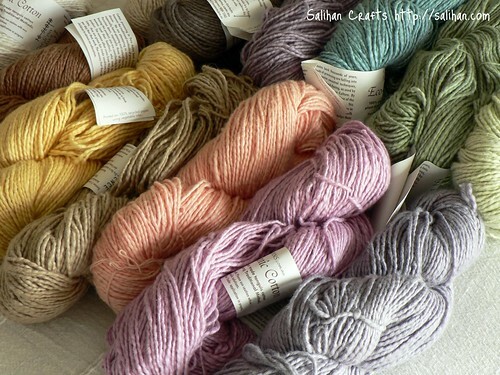 I’ll always have a chance to make another blanket with the yarn of my choice in the future. It’s pretty hard to focus on the negative with these colours staring back at me! After many months, I have finally finished knitting my pink blanket – just in time for the upcoming winter nights. So satisfying.